Heritage, heirloom, organic, kosher — these are types of fresh turkeys available in the Lowcountry. There’s a bird for every budget, sure to provide great-tasting meat from animals treated with dignity. Look for a turkey raised with no antibiotics and no animal byproducts in its feed and certified by a third-party animal welfare auditor. Turkeys labeled as organic have been fed organic feed, given fresh air and outdoor access, and raised without antibiotics. From the deck of the Salty Dog — the big catamaran, not the restaurant — it’s possible to watch families on the outdoor patio at the South Beach Marina restaurant enjoying their dinners and live music. Some partygoers on a recent Salty Dog Happy Hour cruise even waved goodbye to them as the boat slipped away from the dock and the voyage got underway on Calibogue Sound. Now in its third year, the adults-only cruises are a hit with visitors and locals ages 21 and older. 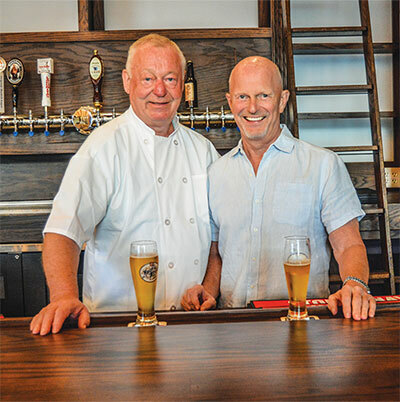 Brothers Alfred and Volker Kettering might have pursued different careers — Alfred is the seasoned chef and owner of Alfred’s, a popular Hilton Head Island restaurant, while Volker worked for a German corporation — but they have restaurants in their DNA. Their grandparents had a sizeable brauhaus, German for “brewery,” before the brothers were born, and their parents also ran a restaurant in their hometown of Kaiserslautern, Germany, from 1954 to 1960. MEET SOME OF THE FOLKS BEHIND YOUR FAVORITE SUDS AT AREA BREWERIES. 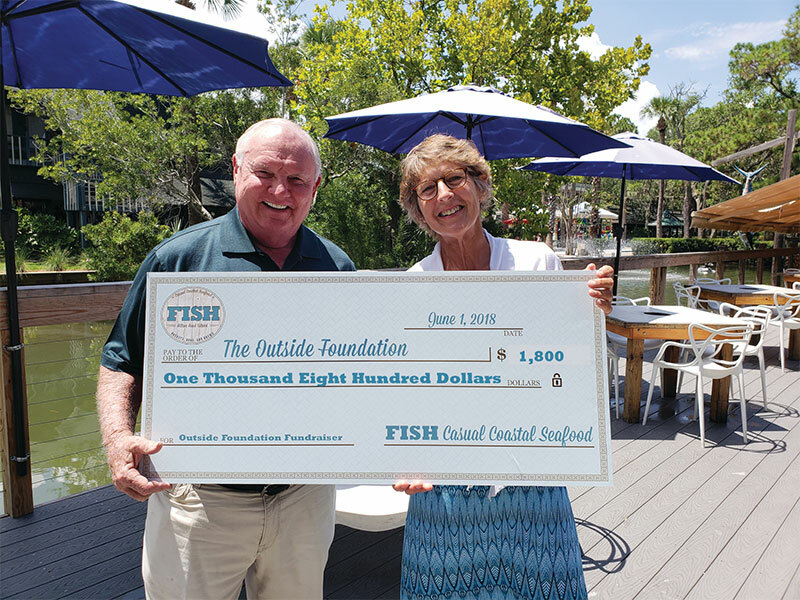 Demonstrating its commitment to the waterways that supply its seafood, Coligny Plaza’s FISH Coastal Casual Seafood recently announced a donation of $1,800 to The Outside Foundation. The aim of The Outside Foundation is twofold: to educate area youth on the importance of a healthy ecosystem and to actively preserve that ecosystem through oyster shell recycling and beach cleanup efforts. 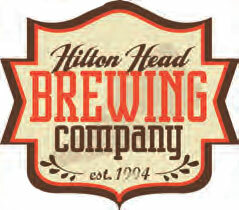 Hilton Head Brewing Company plans to expand its patio to include more room for guests and their dogs. The outdoor area seats up to 35 people and will be open year-round. In addition to live music on the patio, the brewery will also include outdoor televisions. Chef Farid Ahmed has been promoted to executive chef for Sea Pines Resort. 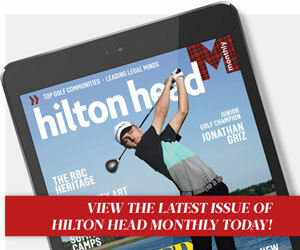 Before his promotion, Ahmed was chef de cuisine for the resort’s Links, an American Grill. In his new role, he continues to be responsible for culinary offerings at Links, plus the Inn & Club at Harbour Town, all in-room dining, Harbour Town Bakery & Cafe, and Sundeck Cafe. 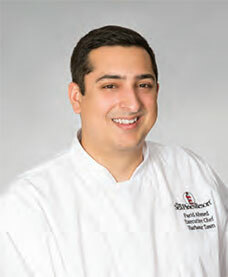 He graduated with honors from Le Cordon Bleu College in Atlanta in 2007 and worked as chef de cuisine for 10 years at Pinehurst Resort before joining The Sea Pines Resort culinary team. L’Woods restaurant is now open in the former location of Casey’s Sports Bar. The menu will feature classic food items from Buffalo, New York — chicken wing soup, pizza logs and “weck sandwiches.” Owners Lee Woods and Lee Woods Jr. formerly owned L’Woods on Pope Avenue in 2011; this new restaurant will feature the same concept. L’Woods is open at 3 p.m. daily. Avocado Bleu is Bluffton’s newest restaurant for breakfast and lunch options featuring fresh ingredients. The restaurant also features smoothies, baked goods and grab-and-go meals that can be keto, paleo or vegan-friendly. Owner Teresa Brandow works directly with local farmers to ensure all ingredients are fresh and in-season. 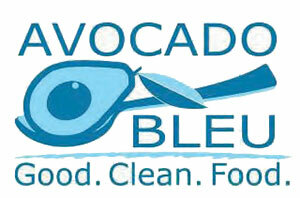 Avocado Bleu is located on Bluffton Road in Kittie’s Crossing.